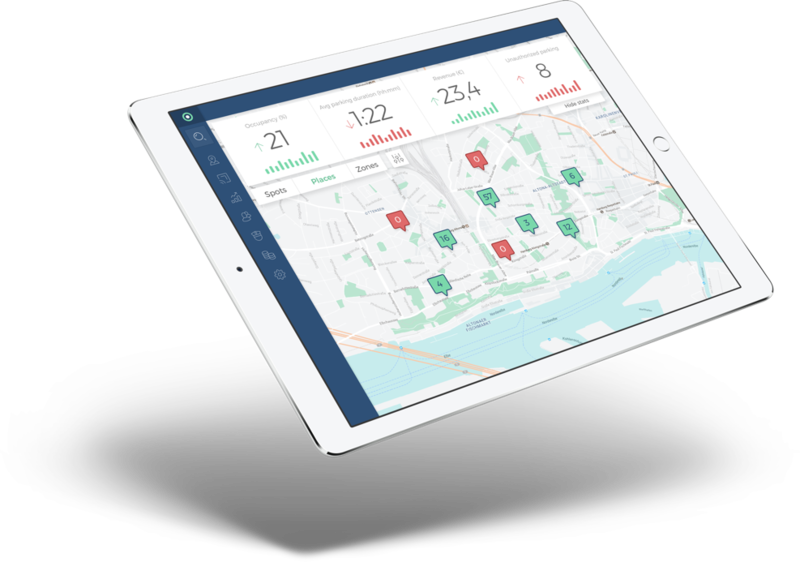 The aim of the ParkDots solution is to leverage the value of existing parking spaces and bring parking policy effectively into practice with the use of modern technologies. Let’s see how! Enable your residents, visitors, and customers to pay for parking conveniently via the ParkDots mobile app. Stand out with this innovation and save. The apps are available for iPhone, Android and also as a fully responsive web application. Unlike SMS payments, ParkDots can be used for paying by holders of company phones or foreign visitors. Real-time overview of parking fees collected. The ParkDots Enforcement mobile app with number plate scanning option enables effective control of parking eligibility. The service is launched within 1 month after signing the contract! 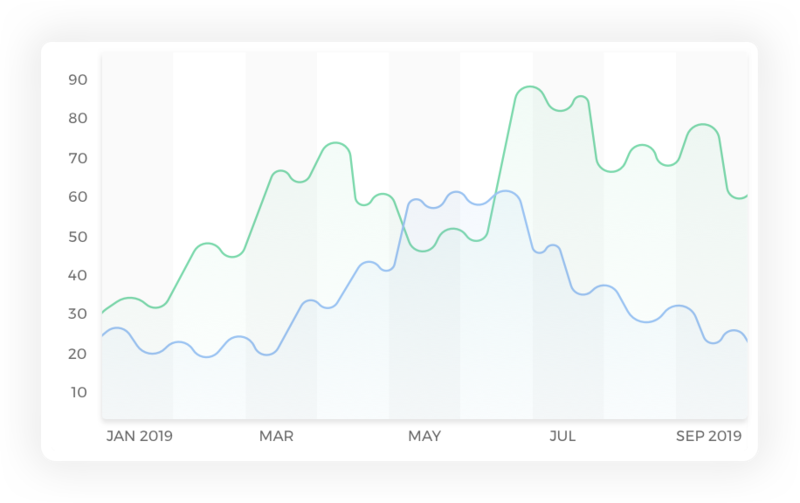 Thanks to cloud-connected parking spot occupancy sensors installed in the pavement, you will not only get an overview of parking, monitor payment discipline, or share a parking space, but also retrieve a lot of valuable data. 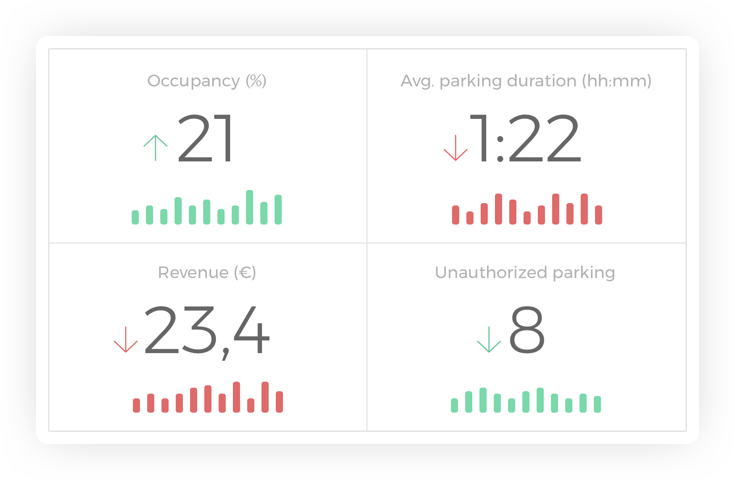 Detailed and transparent analysis of detailed parking statistics directly in a web application. The sensors also enable effective monitoring of short-term parking, forbidden parking and parking space sharing, and introduce residential parking. Possibility to add guiding LED panels. In addition to street parking, via integration in barrier systems, card vehicle license plate scanners and payment machines, ParkDots can handle parking in garages or closed parking lots. 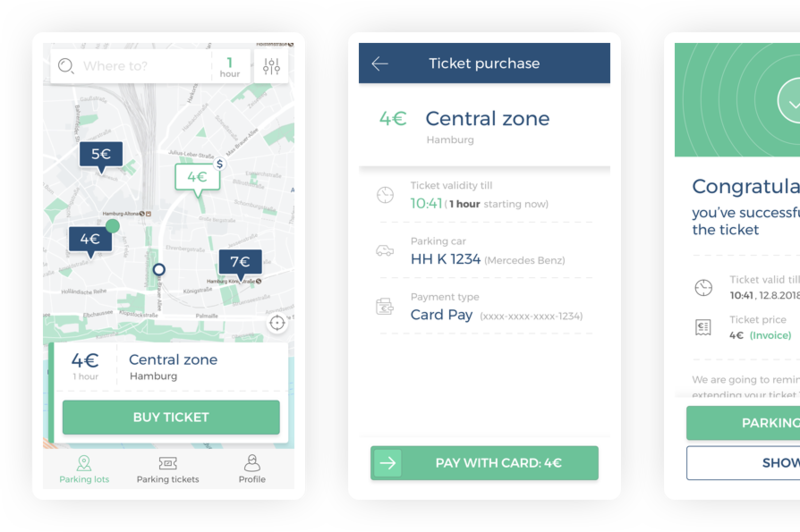 The ParkDots applications are designed with an emphasis on high usability, making parking easy for your customers. Are you looking for a completely carefree model? 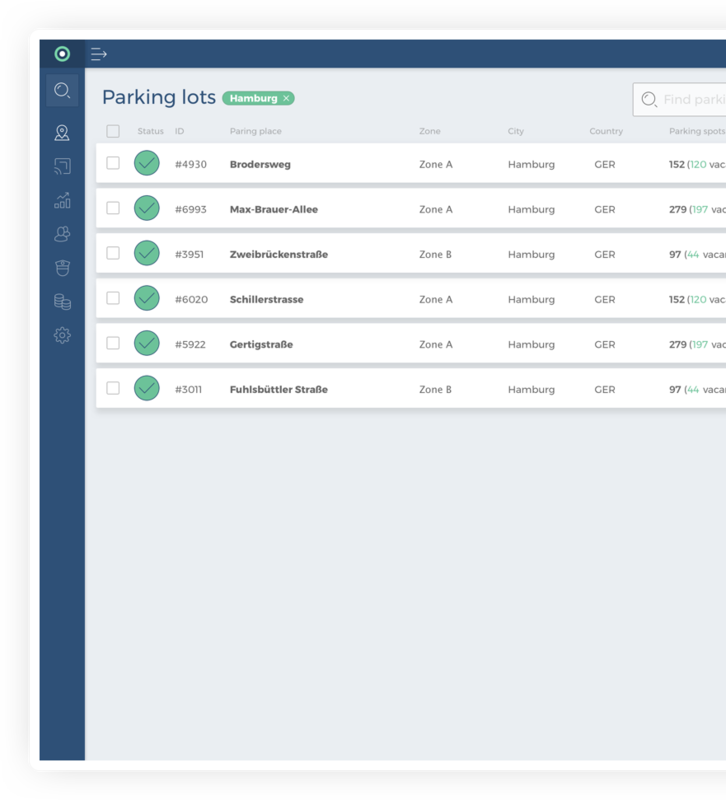 What do you think of parking space management as a service? Contact us. Less unnecessary traffic when looking for a vacant parking space and therefore less dust, noise, and CO2 generated and no more time and resources wasted. Valuable data obtained on parking and statistics enable better “parking” decisions to be made. Mobile payments will bring a higher proportion of parking fees collected than with other payment methods.